Your health always comes first, that goes without say, but when the cause of a condition is unknown, should it stop you from doing what you love most? 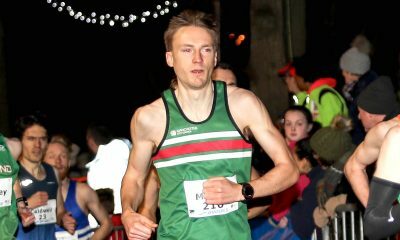 In 2017, a heart scare forced runner Charlie Rogers to collapse in the final stretch at the Shropshire cross country championships. It resulted in the Loughborough student being hospitalised for 13 days, but a year later he still doesn’t know the cause of the problem. “It was about 11 and a half km into the 12km race when it happened, which had been really tough,” he tells Fast Running. “I wanted to sprint to the finish so I started to push, but the next thing I remember is lying on the ground. Rogers’ heart had seemingly gone into overdrive and after being taken to hospital he was unable to answer simple questions. It wasn’t just a quick in and out of the hospital for the runner. It took 13 days in bed before the staff were happy to realise him. There wasn’t really a diagnosis though. Sent home with future tests still to be taken, an unfit and none the wiser Rogers felt at a loose end. “Returning to a highly sporting university can mean it is difficult to avoid exercise, especially when you’re missing out on doing something that you love,” he says. “But every time I tried to go for a run my heart rate would spike and blood pumped hard through the veins in my neck. Still not knowing the cause of the health scare he made the decision to return to running and tried to cut out stimulants like coffee and focusing on sleep more. “I still pertained to feel pain in my chest and neck following a hard rep session or hilly long run,” he explains. “However, I wasn’t going to let this ‘injury’, for which there was no cause, define how I lived my life. So I started to slowly increase the mileage and sessions throughout the first semester of my second year in university. 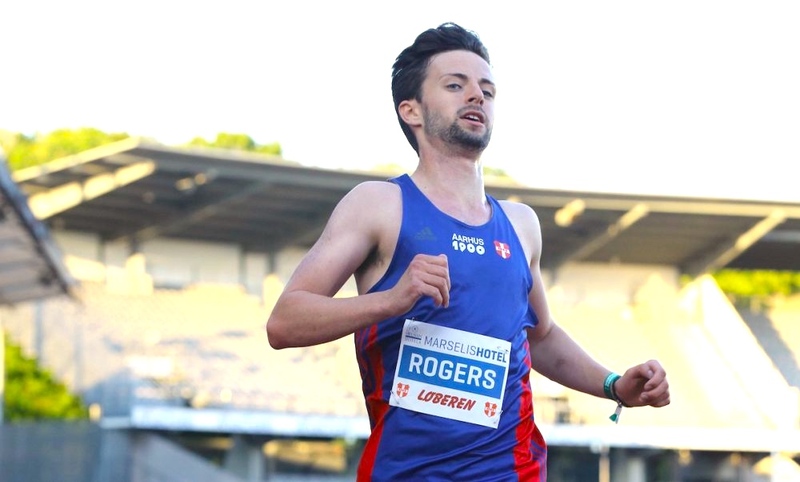 Some would have considered walking away from the sport, but Rogers took the approach he felt was best and gradually built up his fitness, which eased the symptoms – even if they never disappeared. After a summer of gradually building up his fitness, he progressively worked more on his speed during autumn and winter which resulted in some good cross country results and a 5k personal best. He was then off to Denmark of all places. “In January I did a semester swap in Denmark and joined a Danish club, Aarhus 1900,” he says. “The warm welcome was just what I needed. In the long dark and cold training sessions and stretching long runs I really began to improve. 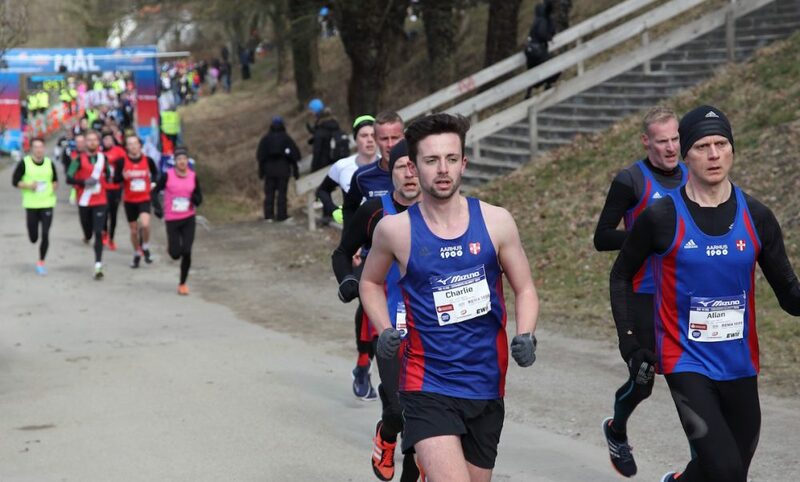 He enjoyed a solid period of training with his new club before the day came for the Danish 10km Championships in Middelfart. With a target of running under 35 minutes, Rogers did not disappoint with an excellent 34:39 showing. “The time meant so much more to me than just a number, a race or a day,” he says. “For me, it represented a defiance against a limiting force and an expression of freedom. In the months that followed the Aarhus 1900 athlete also recorded personal bests over 3km (9.21), 1500m (4.21), 800m (2.09) and a half marathon (83:00). Rogers is not out of the woods, but he is looking to the future with renewed optimism and taking a low tech approach in the style of the legendary Steve Jones. 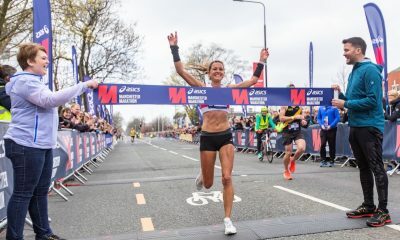 “I sometimes still get pain in either my chest or neck following a fast rep session and have no diagnosis on my problem, but I’ve accepted this for now and have started to know when I’m reaching my physical limits in training or in a race,” he says. 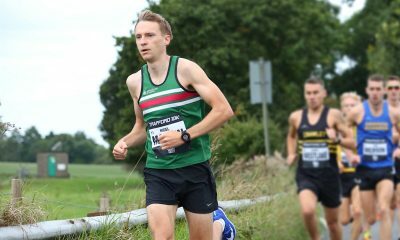 He is now back in the high-performance environment at Loughborough, where there are plenty of people around to push you, but knowing when to hold back a little is key for the runner with an unknown ailment. So what is next for Rogers? It is refreshing to hear from someone who doesn’t let a problem define his life and is determined to take back control. Many in a similar situation, rightly might be too scared to even start running again, let alone go chasing PBs. But ultimately only the individual really knows how their body feels, and hopefully, Rogers can be an inspiration to others. If you would like to keep up with Charlie’s progress you can on follow him on Instagram and Facebook. Please remember that Charlie started running again only after extensive medical checks. If you are experiencing similar symptoms then please see a doctor. Every week in the UK at least 12 young people die of undiagnosed heart conditions. Cardiac Risk in the Young is a charity that supports anyone diagnosed and offer subsidised screenings for anyone 18 to 35.